Home Tips & Trickz Need a Performance Boost? Glary Utilities does its best! Need a Performance Boost? Glary Utilities does its best! 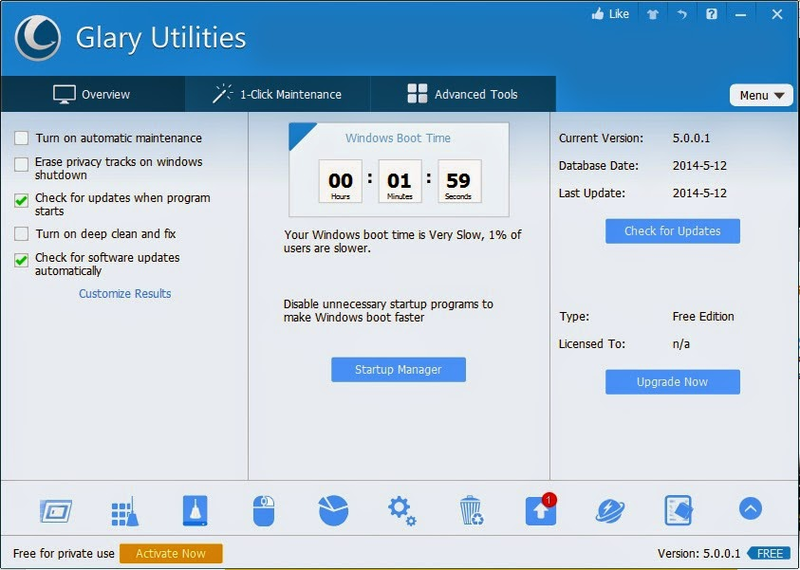 Glary Utilities is a free performance booster and system cleaner for your Windows PC. The easy-to-use and intuitive interface features one-click functionality and easy, automated options, which give you the choice of either 1-Click maintenance or a custom selection of operations. The application includes over twenty system utilities, which allow you to customize your scan. The application features options such as a Registry Cleaner, Spyware Remover, Startup Manager and Shortcuts Fixer, all of which will improve your computer performance.